Summary and Definition: The Hare Krishna cult emerged during the Hippie Counterculture era of the 1960's. It was a period of change and rebellion for the youth of America as young people rejected materialism and embraced spirituality. The Hare Krishna movement was based on an Indian Hindu sect that dated back to the 1400's. The Hare Krishnas worshipped the Hindu god Krishna and emulated the style of worship, dress, diet and lifestyle of its devotees, including the practice of yoga and meditation. The popular nickname of the Hare Krishnas movement derived from the mantra that followers chant. The worship of Krishna and the Hare Krishna movement spread in the Western world largely due to the International Society for Krishna Consciousness (ISKCON) that was founded by Srila Prabhupada (1896-1977). 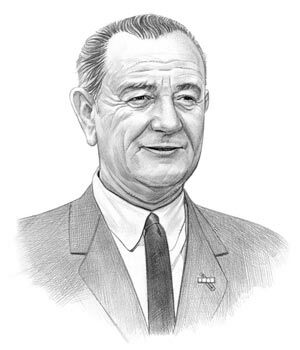 Lyndon B Johnson was the 36th American President who served in office from November 22, 1963 to January 20, 1969. One of the important events during his presidency was the emergence of the Hare Krishna cult. Hare Krishna Facts - 1: The 1960'S Hippie Counterculture rejected conventional lifestyles in preference for a freer, independent and simpler way of life, that was closer to nature. Hare Krishna Facts - 3: The hippies embraced the concept of peace and love and as people began to question society they also began to question their religious beliefs, embracing spirituality and exploring different religious ideas and beliefs. Hare Krishna Facts - 4: Other new religious movements and cults, besides Hare Krishna, emerged during the period that included the Unification Church (the Moonies). Others embraced unconventional, foreign beliefs such as Hinduism, Buddhism and Native American mysticism. Hare Krishna Facts - 5: The Hare Krishna cult was based on an Indian Hindu sect that dated back to the 1400's and worshipped the Hindu god Krishna as the one Supreme God. Hare Krishna Facts - 6: The Hare Krishnas emulated the style of worship, diet, dress and lifestyle of its original Indian devotees, including the practice of meditation and yoga. Hare Krishna Facts - 7: The diet of the followers was strict. Meat, fish and eggs were not allowed, alcohol and drugs, including caffeine, were forbidden. Hare Krishna Facts - 8: The lifestyle was also strict. Gambling was forbidden and devotees were expected to remain celibate except for purposes of procreation within marriage. Hare Krishna Facts - 9: The reason for the strict rules concerning the diet and lifestyle of the devotees was because they "disrupted physical, mental and spiritual well-being and increased anxiety and conflict in society." Hare Krishna Facts - 10: The goal of the devotees is to attain "Krishna consciousness" by the guidance of the scriptures and the spiritual master, or guru. Hare Krishna Facts - 11: Their central practice is chanting the Hare Krishna mantra from which the movement derived its nickname. The purpose of the Hare Krishna mantra or chant is to enhance consciousness and obtain peace, happiness and total self-fulfillment. The most common translattion of the mantra is "O Lord, O Energy of the Lord, please engage me in Your service." The following fact sheet continues with facts about the religious cult of the 1960's Hippie Counterculture era. Hare Krishna Facts - 13: The movement spread world wide mainly due to the establishment of the International Society for Krishna Consciousness (ISKCON) that was founded by Srila Prabhupada (1896-1977). Hare Krishna Facts - 14: The teacher, or guru, Srila Prabhupada arrived in New York in 1965 and spread his devotional wisdom that started the spiritual revolution based on the virtues of simplicity, devotion and compassion. Hare Krishna Facts - 15: The International Society for Krishna Consciousness (ISKCON) advocated street preaching (Sankirtan) in which members tried to spread Krishna consciousness, by chanting the Hare Krishna mantra in public places. Hare Krishna Facts - 16: The devotional dress consisted of dhotis for men and saris for women. Wearing dhotis and saris geared the wearer towards spirituality and not sexuality as devotees adhered to principles such as modesty, cleanliness and chastity. Hare Krishna Facts - 17: Colors: A student would wear a white dhotis and an ordained monk would wear an orange or saffron dhotis. The saffron robe represented humility and freedom of vanity. Hare Krishna Facts - 18: The men shaved their heads because they believe that cleanliness is next to Godliness. They left a small piece of hair, known as the sikha, was left at the back of the head, unlike the similar shaved head and attire of a Buddhist monk. Hare Krishna Facts - 19: The movement spread quickly, and gained considerable publicity, and financial support, through the interest of George Harrison, one of the Beatles. George Harrison was a spiritual person who had an affinity with India. He studied Indian philosophy, its culture, and its music. Hare Krishna Facts - 20: In 1966, George Harrison traveled to India to study the sitar with Ravi Shankar. He also met Maharishi Mahesh Yogi, which prompted him to take up Transcendental Meditation (TM) and give up LSD. Maharishi Mahesh Yogi inspired George Harrison to write many new songs but their association was relatively short lived. Hare Krishna Facts - 21: In 1969, George Harrison and John Lennon met Swami Prabhupada, the founder of the global Hare Krishna Movement in England. Soon after, George Harrison embraced the Hare Krishna movement and was a devotee until his death on November 29, 2001. Hare Krishna Facts - 22: In 1970, George Harrison produced the Radha Krishna Temple album and wrote many songs, which included devotional references to the religion. His famous song, “My Sweet Lord”, included the Hare Krishna mantra in the chorus. Hare Krishna Facts - 23: The 1970's witnessed the decline of the movement when the Hare Krishnas came under criticism during the anti-cult movement with allegations by former members of brainwashing and isolation from families. International Society for Krishna Consciousness (ISKCON) still remains under the watchful eye of anti-cult organizations to this day. The article on the Hare Krishna cult provides detailed facts and a summary of one of the important events during his presidential term in office. The following Lyndon Johnson video will give you additional important facts and dates about the political events experienced by the 36th American President whose presidency spanned from November 22, 1963 to January 20, 1969.